That’s what marketing professionals and social media gurus all across the web are saying. The truth is, though, that there is already a ton of content out there. What are you saying that no one else is? But don’t feel down about it. Because there is one way to make your content marketing strategy more effective. You do not want this said about your content. The bottom line is that you want your content to answer your target market’s Google search enquiries. Take the Google Academy example of the outdoor store that runs a blog about all things outdoors. You’d imagine that store’s blog would include tips like “how to pitch a tent,” “5 campfire starting techniques,” and other material. If your blog or YouTube channel is full of such useful information, you can bet interested people will come back. 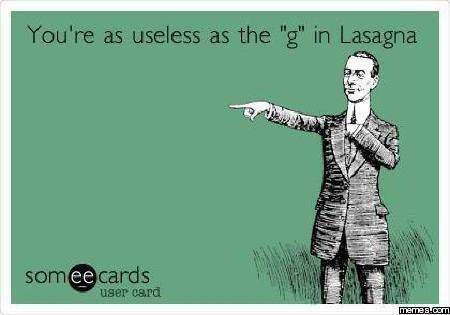 My Brand is More Entertaining than Useful, Though. 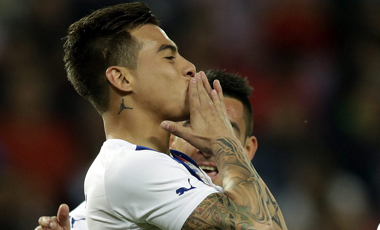 Some Chilean soccer player will probably not tattoo your brand’s logo on his neck. I’m just being honest. Is it really? Be honest. C’mon, do some soul searching. Is your brand (or business) one of those brands that excites such fan loyalty and devotion that they’ll tattoo your logo on their necks? Let’s face it: probably not. If you’re a sports store trying to be the next Nike but no one has heard of you, you can bet your “funky, entertaining” content will not excite much interest (unless, of course, it’s absolutely brilliant). You’re probably better off blogging or vlogging about how runners can avoid shin splints. There are plenty of approaches to content creation. Others use the news angle, which is, of course, most appropriate for news and current events sites. Still others go for shock, some for the elusive “cool” factor. There are so many different kinds of content that it would be hard to categorize them all. But in my mind, the best content is useful stuff that answers readers’ questions quickly and effectively. Several people have contacted me with requests for tips on starting their own blog. First of all, this is *HUGELY* flattering! Thanks guys! Starting this blog has been a real learning process, and I’m happy to share some tips that I’ve learned along the way. I wanted a specific URL, so I bought my domain name from GoDaddy and used WordPress to build my blog. If you want to use your blog to build a portfolio, see if you can own your name as your domain (I couldn’t, as apparently there are 5,000 realtors named Jane Kennedy). You can easily create a blog on any number of platforms like Tumblr, Blogger, WordPress or Blogspot. Originally, I went with GoDaddy for my hosting services. I was disappointed with how slow it was, though. Upon a colleague’s recommendation, I switched to SiteGround, which is more expensive but much faster. If you’re a first-time blogger, though, and you have no idea about designing a website or web hosting (and you don’t have an awesome pair of brothers who know all about this stuff like I do–thanks bros…), I highly recommend WordPress.com. It’s a great platform and you can choose some great templates for your design. For examples of blogs that use WordPress.com for hosting, check out my friend Anna’s, and my friend Caroline’s blogs. My friend Laure uses Blogspot for hers. Once you’ve got your URL and your hosting service, it’s time to design your first blog. There’s an important rule here: Keep it simple. You want to make it easy for people to read your articles. You also want to strike a balance of space for your text and room for some interactive content in the right-hand column (or however you set up your blog). The rule for the right-hand column content is simple: Make it relevant, interesting, and useful. Make it easy for people to browse through your blog history, and to find your articles by title, topic and date, and connect with you on social media. Always provide a search bar. Here’s the first rule: Write about what interests you. Don’t waste everyone’s time by trying to write about stuff that you think people *want* to read. If you write well about what you love, people will enjoy it and come back for more. For a great example of a blog that focuses on a specific interest, see my friend Ysa Belh‘s blog. Second rule? Write a lot. Be prolific! Establish a ground base of good content and write, write, write! It’s good practice, and you’ll find your voice. When you get started with WordPress, they provide lots of great advice about getting started. One tip I particularly retained was to practice by doing. SEO is the internet buzz word and it’s how you get your blog noticed. Basically, it means filling your articles with frequently searched-for terms and keywords. It also means installing plugins that help make your blog easy to find for people who are searching for stuff you’re writing about. You can use tools like Google Adwords Keywords Tool (apparently this will only be available to non-paying users for a little while longer, so hop on it while you can). This tool allows you to put in your article topic and see what similar search terms people are googling. That’ll give you ideas for other keywords to seamlessly integrate into your content. You can also find terms by starting a regular Google search and seeing what phrases Google suggests for autocomplete. Basically, the rule about writing about what interests you applies here. There’ll be other people on the internet interested in the same things, that’s for sure. Hey, it takes all kinds, right? Once you publish an article, don’t just sit back and expect people to stumble upon it and find it. Share in social media, and shamelessly plug your new endeavor to your nearest and dearest (I love you, Mom and Dad!). Don’t be obnoxious about it, but share your articles in context (this is especially easy if you’re writing about current, trending events). If you want Google to help people find your blog, create a Google+ profile and link it to your blog. You can download a Google+ Author Link plugin which allows you to connect your blog to your Google+ profile. Add your blog to your profile, and whenever you write something, publish a link to the article on Google+. But don’t leave it at that. Actually use Google+! I say this for two reasons: Google likes it (yes, we are all slaves to the Google), and it’s also growing into a great, dynamic, informative and fun platform. I could go on, but this article is long enough. Later I’ll write about my favorite WordPress plugins. Some are visible on my homepage and some are behind-the-scenes whizzes that make thebraininjane.com the magical place it is. Hee! My brothers were instrumental in making this website happen. Visit my brother Austin’s website over at PaperScenery.net.